Isa Nacewa kicked a 79th-minute penalty goal as Leinster beat Racing 92 15-12 in Bilbao to claim a record-equalling fourth European title. MARIETTE ADAMS reports. 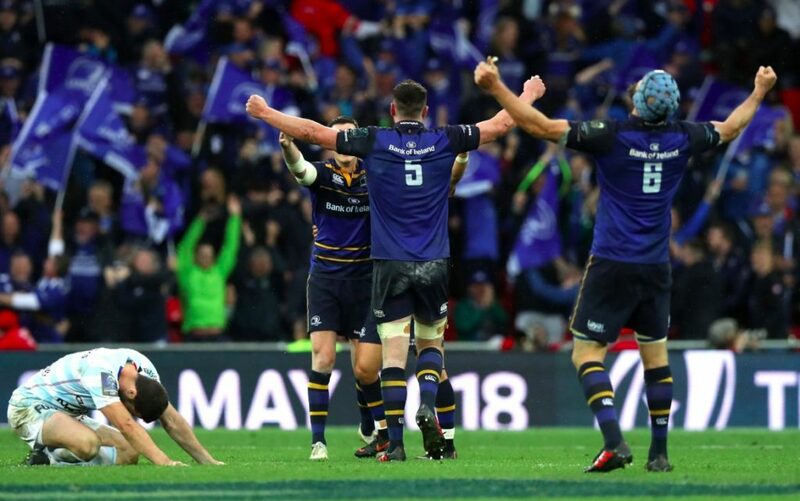 Leinster may have stormed into the Champions Cup final by brushing aside every team in their path, but they were made to grind for this victory against an inspired Racing, who pushed the Irish province to their limits. There were twist and turns, but that Leinster are deserving of their crown is unquestionable. They were second best for the majority of this contest, but when the occasion demanded it, Nacewa emerged as the unlikely hero who held the final piece of the championship puzzle. Leinster have now drawn level with Toulouse on four European cup titles. 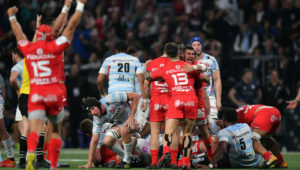 Racing, already without the services of their first-choice scrumhalf and goal-kicker Maxime Machenaud, were cruelly dealt two further injury blows when Dan Carter was ruled out two hours before kick-off with a hamstring ailment and replaced on the bench by Remi Tales. 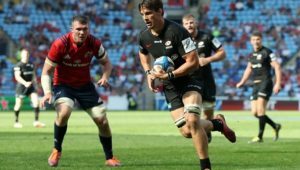 Then, less than three minutes into the game, flyhalf Pat Lambie sustained a match-ending injury, forcing Tales to plug the gap in the No 10 channel. And yet, if those unexpected changes sparked panic and concern in Racing’s ranks, it did not show. They were excellent across the park. With the likes of Donnacha Ryan, Bernard le Roux and Henry Chavancy all playing starring roles, Racing’s big names stepped up big time while a youngster like Teddy Iribaren – thrust into the spotlight on the biggest stage – slotted in seamlessly at scrumhalf. By contrast, Leinster’s senior players were not as influential as most expected them to be, with the Irish team only being kept in the contest by the ever-reliant boot of Johnny Sexton. For 70 minutes, Leinster’s tactical approach – which had worked so well for them this season – looked laboured and there was no sign of a fallback plan. But then in the final 10, a switch seemed to flick on as Leinster upped the intensity to break Racing’s stern resistance. 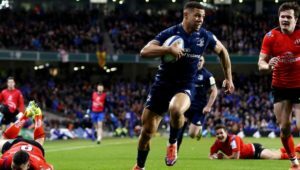 Racing’s abrasive work at the breakdown unsettled Leinster, who are used to having it their own way at the set pieces, while their aggressive linespeed left Leinster’s strike-runners in limbo. The French team dominated territory and possession and Iribaren turned it into six points with two penalties. But Sexton matched him off the tee to level the scores at 6-6 going into half-time. The pair traded kicks again and both missed one too. But then Iribaren nailed a long-range angled kick, which drew a standing ovation from Carter in the stands. Leinster, though, were not prepared to give up, despite their lack of momentum. Sexton took a knock and relinquished the kicking duties to Nacewa, whose first attempt levelled the scores at 12-12 after Racing centre Virimi Vakatawa senselessly drove a Leinster ball-carrier head first into the ground. That was followed by Nacewa’s second penalty in the 79th minute of the match. With time up, Tales fell back into the pocket and attempted a drop goal that would have taken the game into extra-time, but it went well to the left of the posts and Leinster’s celebrations began. 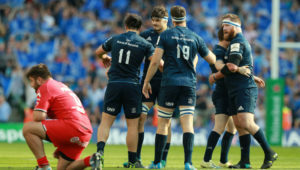 Leinster – Penalties: Johnny Sexton (3), Isa Nacewa (2). Racing 92 – Penalties: Teddy Iribaren (4). Leinster – 15 Rob Kearney, 14 Jordan Larmour, 13 Garry Ringrose, 12 Robbie Henshaw, 11 Isa Nacewa (c), 10 Johnny Sexton, 9 Luke McGrath, 8 Jordi Murphy, 7 Dan Leavy, 6 Scott Fardy, 5 James Ryan, 4 Devin Toner, 3 Tadhg Furlong, 2 Seán Cronin, 1 Cian Healy. Subs: 16 James Tracy, 17 Jack McGrath, 18 Andrew Porter, 19 Rhys Ruddock, 20 Jack Conan, 21 Jamison Gibson-Park, 22 Joey Carbery, 23 Rory O’Loughlin. Racing 92 – 15 Louis Dupichot, 14 Teddy Thomas, 13 Virimi Vakatawa, 12 Henry Chavancy, 11 Marc Andreu, 10 Pat Lambie, 9 Teddy Iribaren, 8 Yannick Nyanga (c), 7 Bernard le Roux, 6 Wenceslas Lauret, 5 Leone Nakarawa, 4 Donnacha Ryan, 3 Cedate Gomes Sa, 2 Camille Chat, 1 Eddy Ben Arous. Subs: 16 Ole Avei, 17 Vasil Kakovin, 18 Census Johnston, 19 Boris Palu, 20 Baptiste Chouzenoux, 21 Antoine Gibert, 22 Remi Tales, 23 Joe Rokocoko.